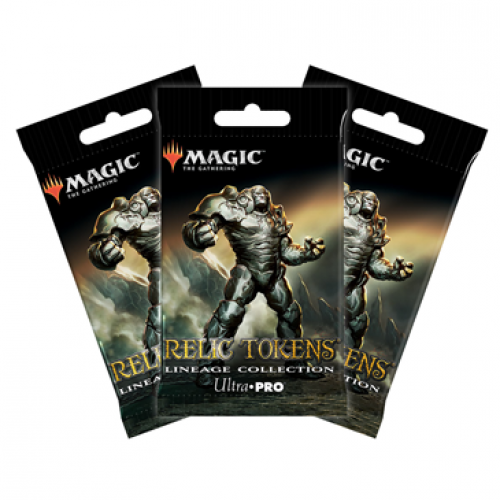 Track your token's power and toughness or other game mechanics with these Magic: The Gathering Relic Tokens! 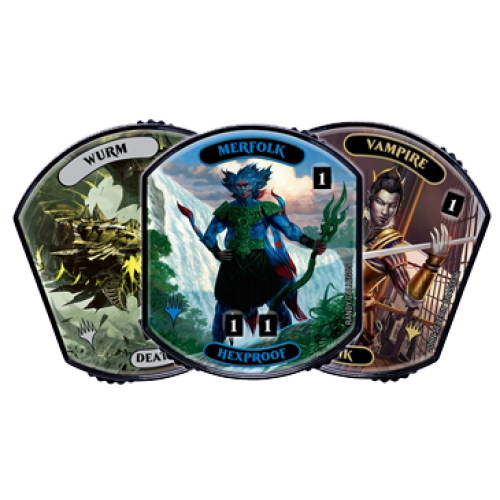 This "Lineage Collection" release offers unique designs, available in both regular and rainbow foiled versions to give your tokens an outstanding, eye-catching look. Each Relic Token has three rotating numerical dials to track each number individually from 0 to 9. 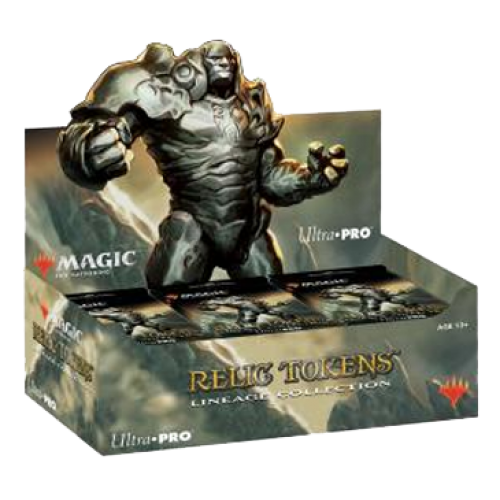 Each display box contains 24 unopened, factory-sealed packs, and each pack contains three (3) randomly inserted Relic Tokens.